The voice-over and dubbing agencies in the media production sector prepare a voice presentation file for the voice talents they have in the voice bank for display purposes. They are some kind of audio CDs. We call the voice presentation files consisting of different brands that the voice talents record Voice Demos. Voice demos are the performances in which the voice talents reflect their performance, tone and tone color. In the article we will give you hints about preparing a good voice demo, we will also talk about what should be included in these voice demos. Since the voice demos reflect the voice color, tone and performance of the voice talent to the listener, the advertisement film, presentation film, IVR announcements, audio books, news voice-overs, dubbing scripts should be chosen according to the style of the voice. For example, the vividly energetic voice-over should not include too slow scripts. Scripts should be written according to the style of the voice-over. In order to prepare a voice demo, all scripts to be pre-recorded should be prepared and voice demos should be listened carefully after recording. Wrong emphasis on accent, incorrect pronunciation should be corrected, and if necessary, the talent should be in the studio accompanied by a voice director. Voice demo must be recorded in the professional voice-over and dubbing studios, recording quality should not be ignored. 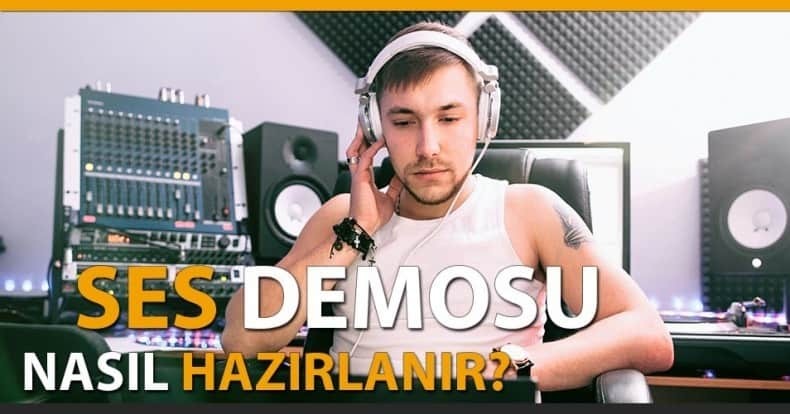 In Turkey, some dubbing and voice-over agencies record voice demos and charge their customers though some don’t charge any fees. If the voice-over agency is going to use the voice demo in its own voice cast, there won’t be any extra charge for the voice talent. Please note that this is an extra charge if the talent is going to use this voice demo for reference or on personal web page. When the audience listens to a voice demo of a voice talent he / she must find the whole tone color and different ad performances included in a voice demo. Because voice demos are audible CVs. What should we use to record a good voice demo? When making voice demos you should search advertising script writing and read a lot of advertisement texts. You should choose the text according to the energy of your voice and record them with a voice director. After recording the raw sound, the final stage of the demo is done by passing to the sound design and effect stage. In this sense professional voice-over studios will help you.